I’m just back from the desert heat of Dubai, where the hazy sunshine dried out my damp winter bones and turned my skin a lovely dark chocolate hue – as a friend once remarked, ‘you look like you’ve been totally air-brushed … ’ . Reasons to be cheerful … spring is in the air! Yes, we’re at the end of yet another hard winter and what a relief – time to start getting into shape for the summer fun and holidays. I’m celebrating with a beach trip next week! Now is the time to change your diet by eating lighter foods such as more green vegetables and fruit as well as cutting back on heavier winter foods. Move to granola with yoghurt rather than porridge every day. Energy speeds up as daylight hours increase – move to this beat by waking up earlier, even if it means spending a little more time in bed planning your day, before you actually get up. Remember, your clearest part of the day will be in the morning because once the day gets going there will be people and situations blocking your way to un-interrupted, clear thought. You can always go to bed earlier, but can’t always get back time in the morning for thinking clearly without interruptions. I admit to being totally hooked on this one – waking up around 5.30am and boring my partner with my chirpiness at 6am! Up the protein: Ensure your lunch includes high-quality protein such as salmon, tuna, chicken, eggs or cold beef or lamb. Protein helps keep you full for longer, and there’s evidence that it’s better for alertness than a high-carb meal. Eat low-GI (low-glycaemic index) carbs: Next, go for slower-digested low-GI carbohydrates for long-lasting energy. For instance, swap white bread for a solid grainy or rye bread if you’re having a sandwich lunch. 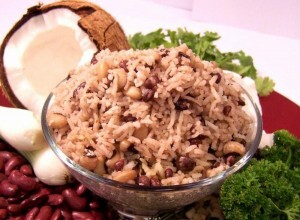 Go for brown basmati or wild rice instead of white rice and beans & pulses such as baked beans on grainy toast, chickpeas in a salad with tuna or a dhal/lentil – they have one of the lowest GIs of all carbohydrates. Healthy Snacks: plan to eat a small but healthy afternoon snack to make it to dinner. Forget the chocolate bar – it’s a high-fat treat that doesn’t stick with you for long. Healthy high-energy snacks are things such as a handful of almonds, walnuts or mixed nuts (ideally unsalted), fruit, cheese with rice or oatcakes, a mug of lentil, minestrone or pea and ham soup, or a small fruit salad with yoghurt. “It's official - Britain's women are the fattest in west Europe" – this hard headline about the state of women’s health in Britain is cold comfort for those wishing to change their shape. I agree, we tend to be fatter in England than our European counterparts, but these stats are simplistic and infer the cause to be that we are eating or drinking too much. Other factors such as stress hormones affect women badly – trying to run a home, work and bring up children requires an incredible amount of energy and support and sadly many women attempt to do the lot on their own. Keep an eye out next month for information about my new stretching and meditation class – Ma’At and our first Your Health is Your Wealth event.